Actress Daughter of Dad Asking for 50 Million is Mao XiaoTong? A recent excerpt from a talk show has been circulating lately of a father, Mr. Lee, who's talking about his famous daughter. In the video, the host asked the 65 year old man about his daughter. He claims she is a popular 30 year old actress with over a hundred million net worth but she has refused to meet him or support him financially. So what's a father to do when his daughter ignores him completely? You might say move on with your life but Mr. Lee chose a different path. 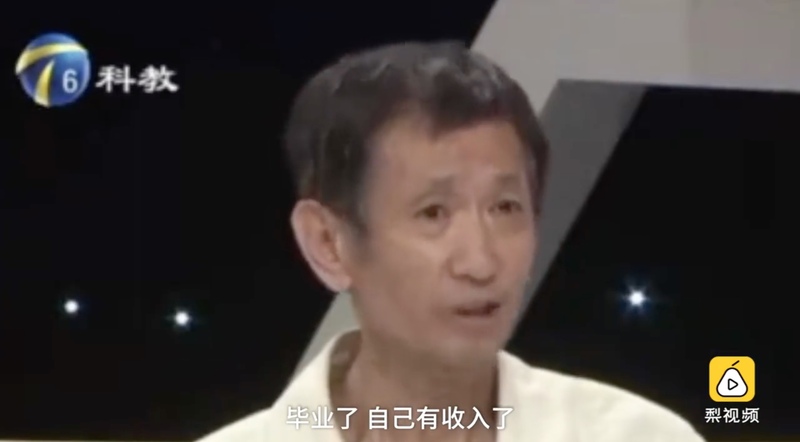 He went on a talk show to air his grievances and to ask his daughter for 50 million yuan in monetary support! Some facts that were revealed on the show was that he was separated from his wife when their daughter was only 2 years old and the child went on to live with the mom. It was also revealed that, for a while, he received a monthly stipend from the wife for a year and that he has been 6 months sober. This has piqued the interests of many and there have been many guesses but the netizens have narrowed it down to Mao Xiaotong. Neither she nor Mr. Lee have confirmed this as of writing, but a netizen has also leaked back in March that Mao Xiaotong's father Li Chao was preparing to sue his daughter for abandonment. The production has purposely kept the details of the actress secret to protect her identity. I don't know about you guys but whoever his daughter is, I, for one, think that what Mr. Lee did is unjustifiable. I am angry at what he did. I know in the Chinese culture we are expected to care for our elderly but this is definitely not one of those cases. I don't know the whole story and I made some assumptions but this is just my opinion. I think the reason he went on the show was that he wanted to shame his daughter into giving him the money he wants. He even threatened that they'll go to hell together. Your daughter would not blatantly ignore you unless you've been absent most of her life which I think Mr. Lee has been. You can't say that you're disappointed and hurt over what your daughter did because she probably felt the same way towards you when she was younger. Being a sperm donor is not what a father makes, any man can do that. You can't take credit where there is none. A good father would not shame his daughter to get what he wants. A good father would not call out his daughter for abandoning him when the father abandoned her first. Your daughter probably has a lot of anger and frustration towards you and calling her out on TV definitely will not help your cause. I feel for the old man. I can see he's frail and if I don't know what I know, I would have been angry at the daughter for abandoning him. Mr. Lee, if I can give you one piece of advice. Maybe instead of shaming her in public, you can ask for forgiveness for the things you did wrong. It's a way for both of you to forget about the past and move forward together. A father will always have a special place in a daughter's heart. If it's her decision not to forgive, you have to respect it because a good father would want his daughter happy even if that means, he is not part of that life. Lol what the...it's okay if he's sick and he needs money if he can't work or something but handle it privately dude. Going on national television and coercing your daughter for money is pathetic. Also it's her choice whether to support you or not. Don't forget you abandoned her first. For parents who are separated, the kids have no obligation to take care of the other parent. Father with an entitlement complex? Had Mao Xiaotong been in 100 million debt and bankrupt, would he pay for half of the debt? Half of her current net worth. Greedy much? Even if she chooses to share with her family and friends, she doesn't have enough to give each acquaintance 50 million. Surely the girl still needs to pay taxes and have overhead costs to cover too. She didn't get her pay and net worth for free either. Where was this father when she was working hard for her money? This person is so inconsiderate. He's trying to prove to the world what an undeserving father he is?